7-day free trial. Requires Windows 7 or later and Word 2007 or later. 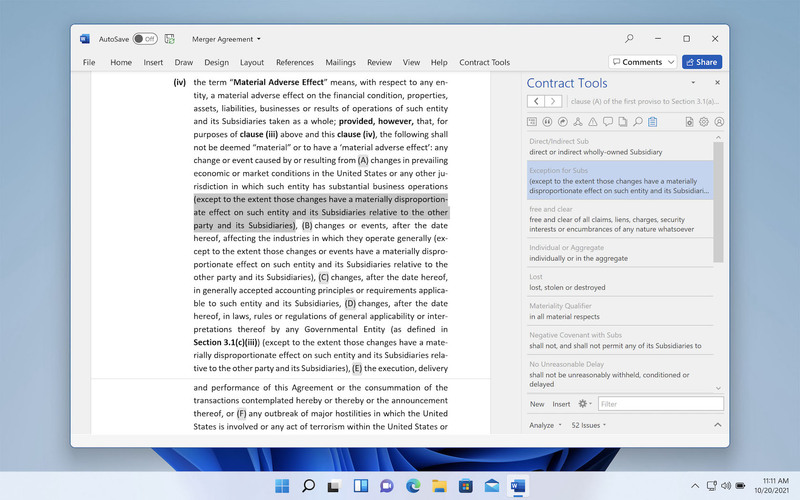 Compatible with the Office 365–version of Word. 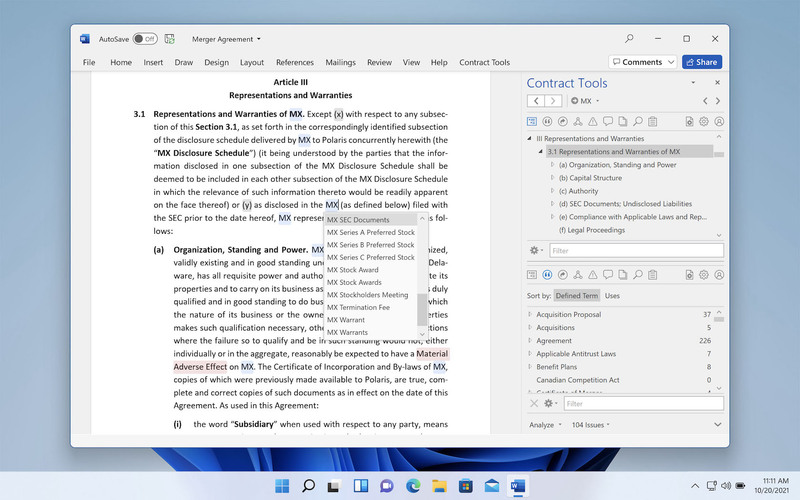 Not compatible with Word for Mac. Subscriptions are $19/month or $190/year. Email sales@papersoftware.com for enterprise licensing. Contract Tools is not malware. Your system administrator may be able to install Contract Tools on your work computer. 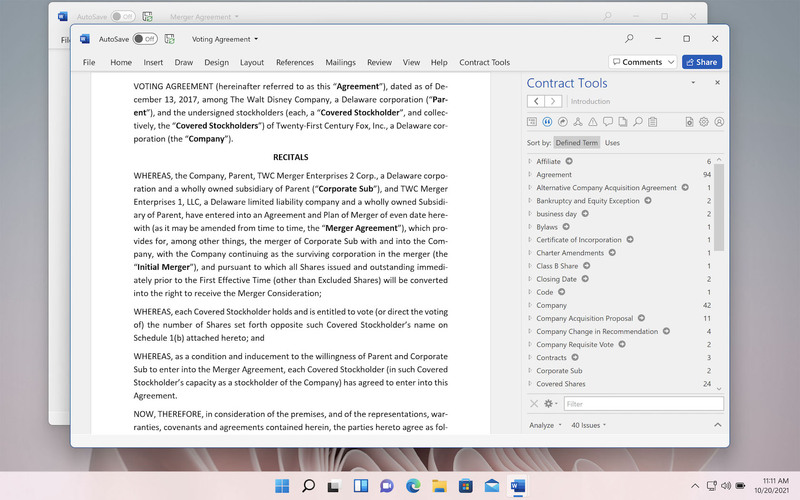 Contract Tools analyzes your document for things that often appear in contracts: provisions, defined terms, cross-references, and more. Analysis takes about two seconds or less for most contracts, and as you make changes, Contract Tools updates its analysis instantly. All of this happens right on your PC, not on some server somewhere – so when you use Contract Tools, your documents stay yours. 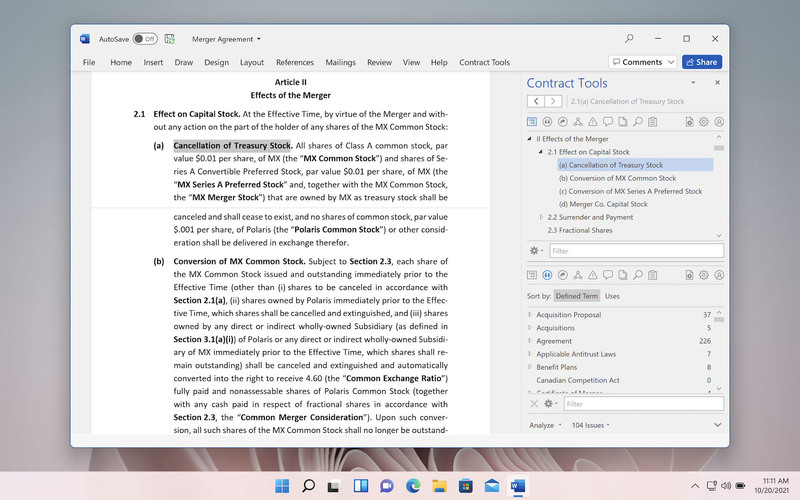 Contract Tools can analyze just about any kind of contract you open in Word: confidentiality agreements, merger agreements, credit agreements, US contracts, Canadian contracts, UK contracts, and more. If you don’t have a Word document, Contract Tools can analyze PDFs you open in Word or text you paste into Word. Contract Tools finds common contract drafting problems in seconds: words and phrases that look like defined terms but aren’t, terms that are defined more than once, and more. Use the Issues pop-up menu to see problems at a glance. Easily ignore proofreading results that don’t bother you, and restore results if you change your mind. Use the Drafting Errors view to manage problems with defined terms, formatting, and more. 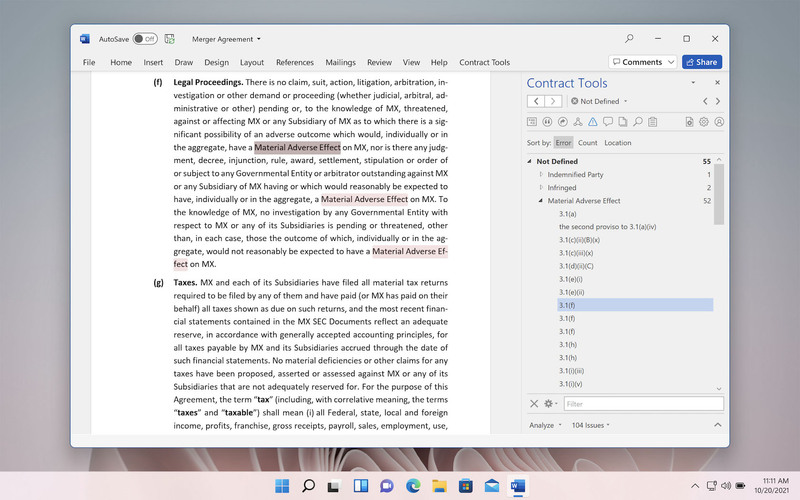 Easily see drafting errors in context, without cluttering your document with formatting. Use the Issues pop-up menu to see potential problems in a simple list. Creating a professional looking document with Word’s built-in controls is tedious, but with Contract Tools it’s easy. 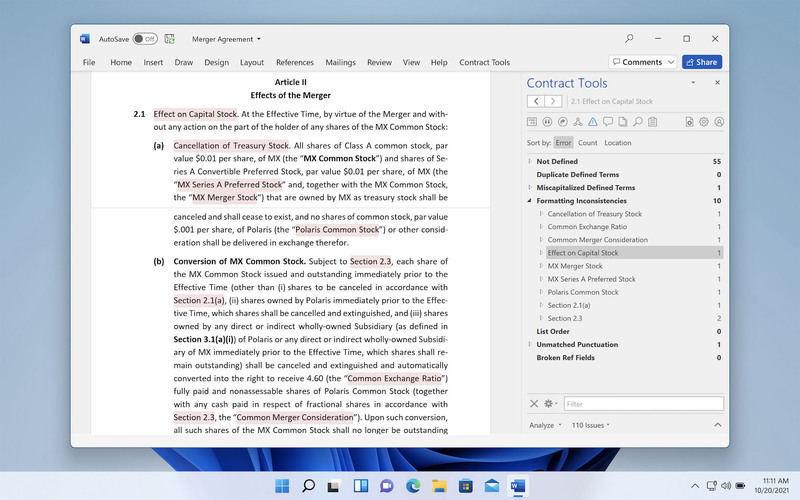 Contract Tools automatically finds formatted content – provision titles, defined terms, and more – learns how your document should be formatted, and lets you fix inconsistencies with one click. 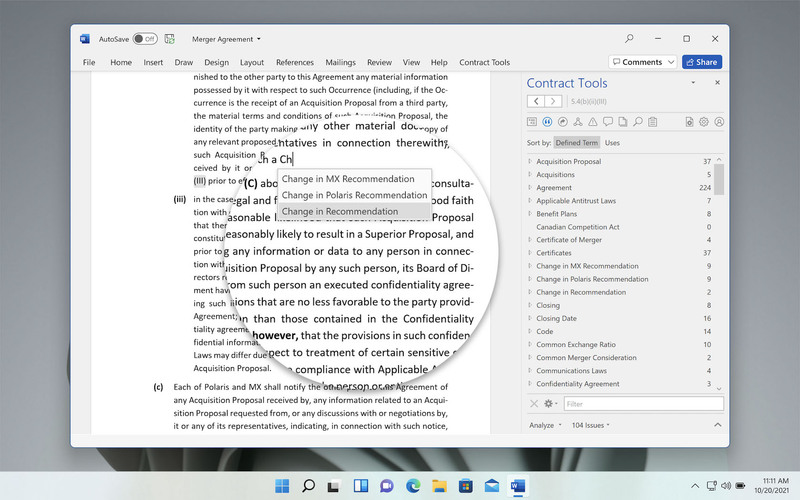 Contract Tools finds formatting inconsistencies based on your document’s overall appearance. Fix formatting inconsistencies with one click. 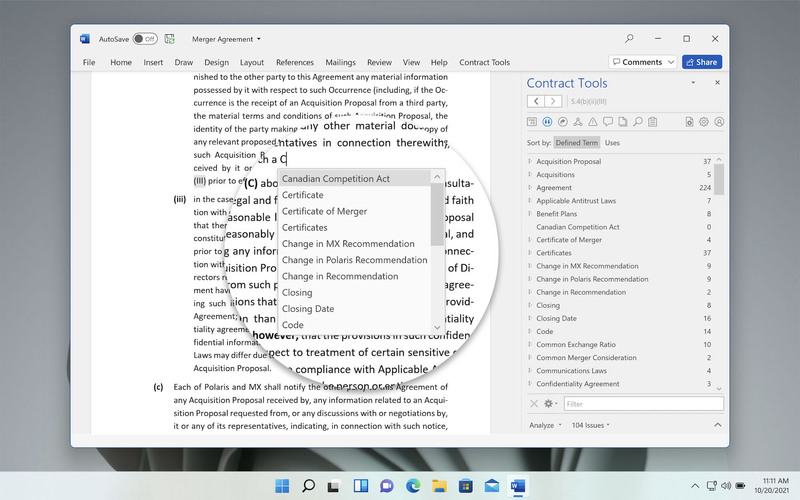 Contract Tools’ Context button changes automatically based on what you’re doing, so relevant tools are one click away. 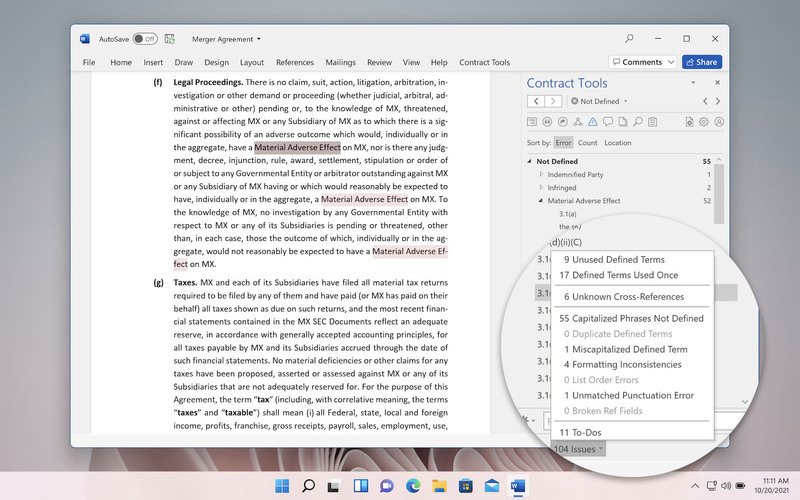 Review proofreading results, add automatically updating cross-references, navigate your document, and more, with just a click. The Context button changes based on what you select. Instantly see how defined terms are used. Insert automatically updating cross-references with one click. 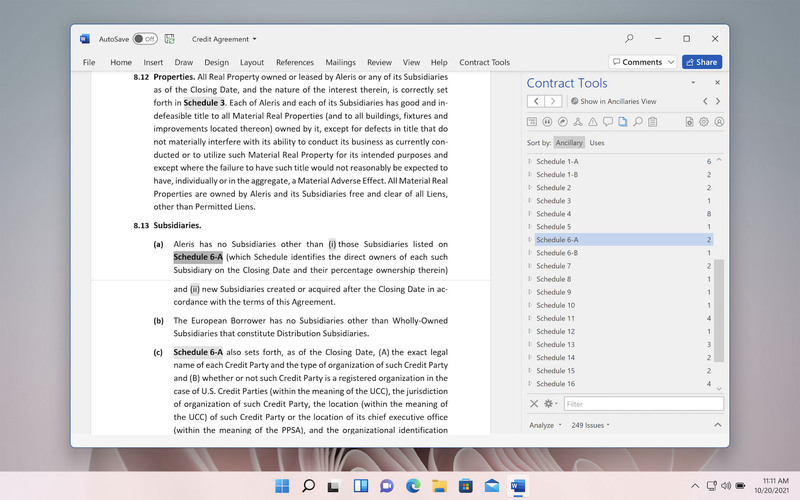 Navigate cross-references and defined terms (you can also navigate by double-clicking). Learn about proofreading results; ignore results that don’t bother you. Restore proofreading results you ignore if you change your mind. See the part of your document you’re working with at a glance. 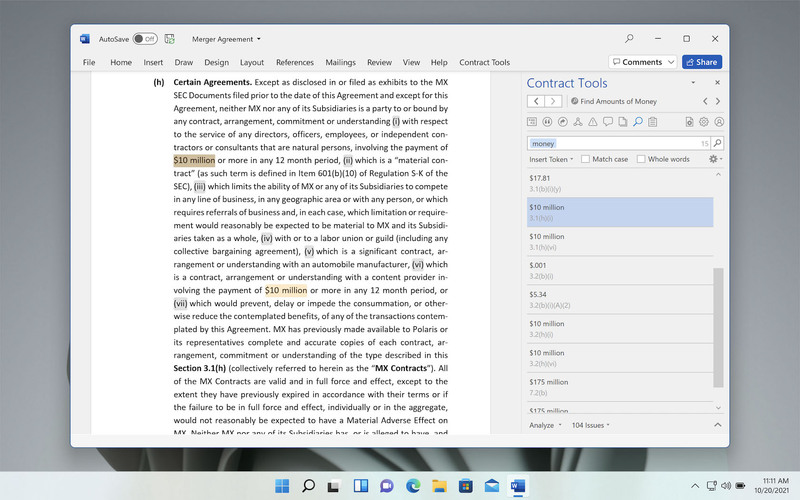 Most contracts have defined terms – often a few hundred of them, used hundreds of times. 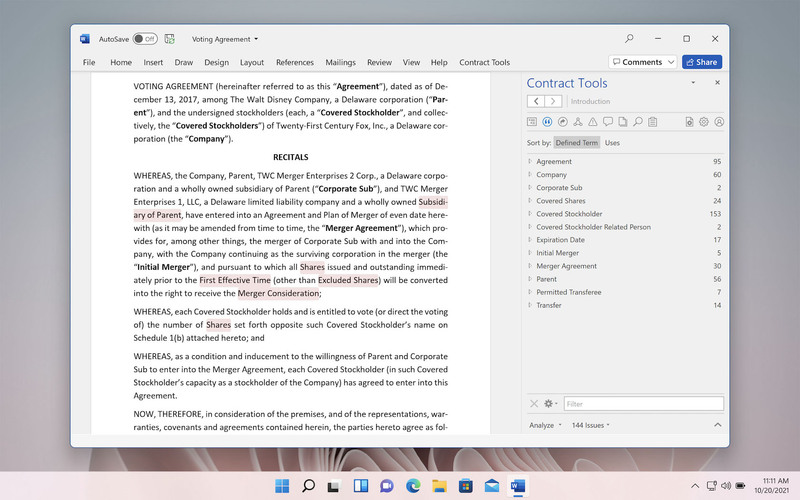 Contract Tools makes using defined terms simple. Just start typing a defined term to see a list of suggestions, and then choose the defined term you want to use. Type to show a list of suggested defined terms. Keep typing to refine the suggestions. Use the arrow keys to select a defined term. Snippets make reusing text simple. 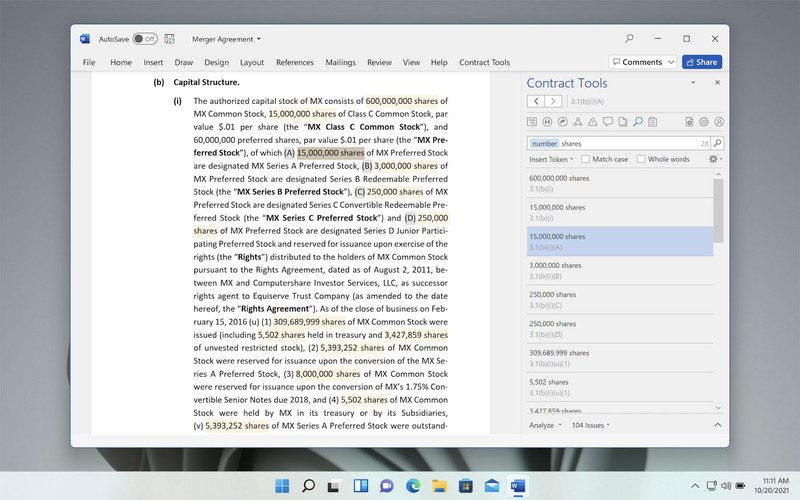 Just select text – a few words, a whole paragraph, or an entire document – and then create a snippet with one click. Insert snippets with a click or autocomplete as you type. Easily see how text differs from a snippet. Instantly create a new document from snippets. You can even include Quick Parts and AutoText with your other snippets. Create snippets from text you select. Use the Completion menu to insert snippets. Enable categories to manage many snippets. 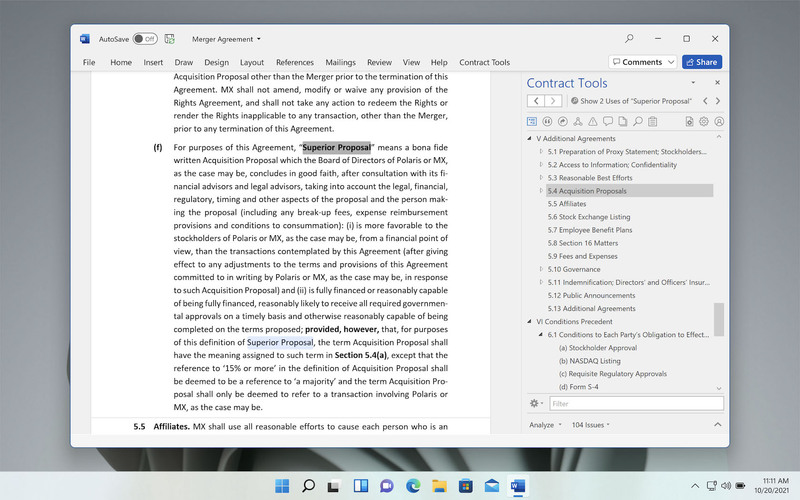 With Contract Tools, keeping track of unfinished items is easy. Use the To-Dos view to see placeholders, bracketed text, highlighted text, comments, and similar items in an organized list. 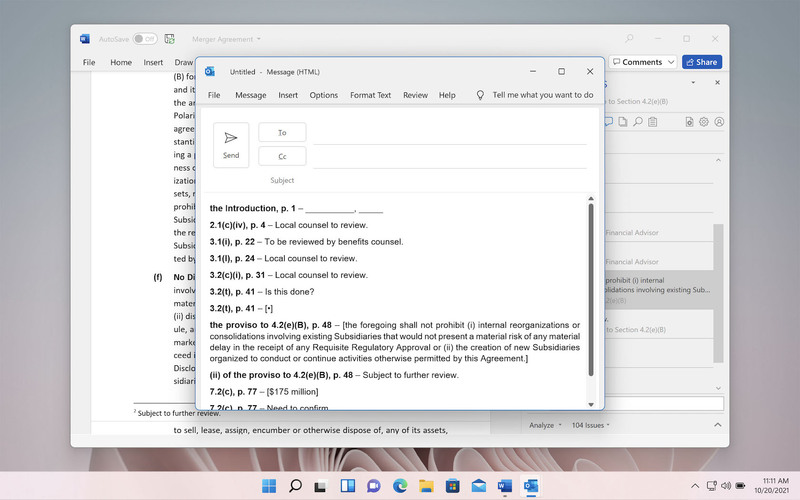 Use the To-Dos view to keep track of footnotes, comments, bracketed text, and more. 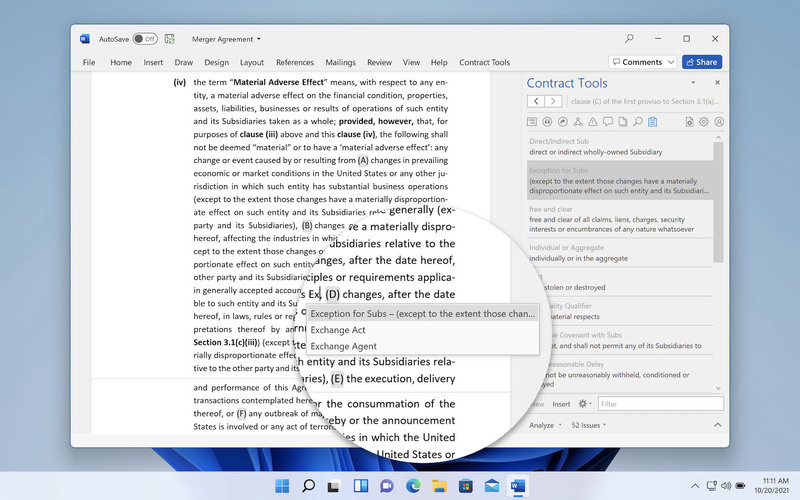 Easily copy a list of to-dos to the clipboard to paste it into an email or another document. 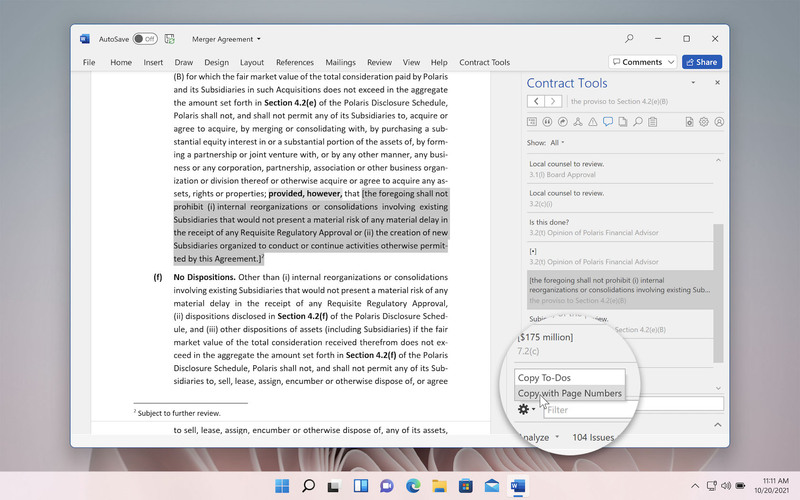 Contract Tools makes finding your way around a contract as simple as browsing the web. Just double-click a use of a defined term to go to its definition, or double-click a cross-reference to go to what it references. When you’re finished, use the Back and Forward buttons to get back to what you were doing. 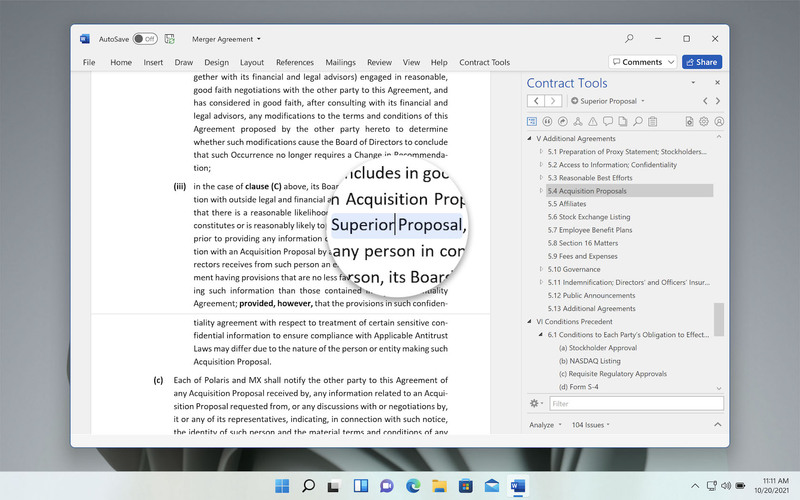 Contract Tools doesn’t change your document to enable navigation features. …to go to where it’s defined. Do the same thing with cross-references. Use the Back and Forward buttons to get back to what you were doing. Scrolling is one of the most common things you do in Word, but it’s easy to miss what you’re looking for while you scroll. 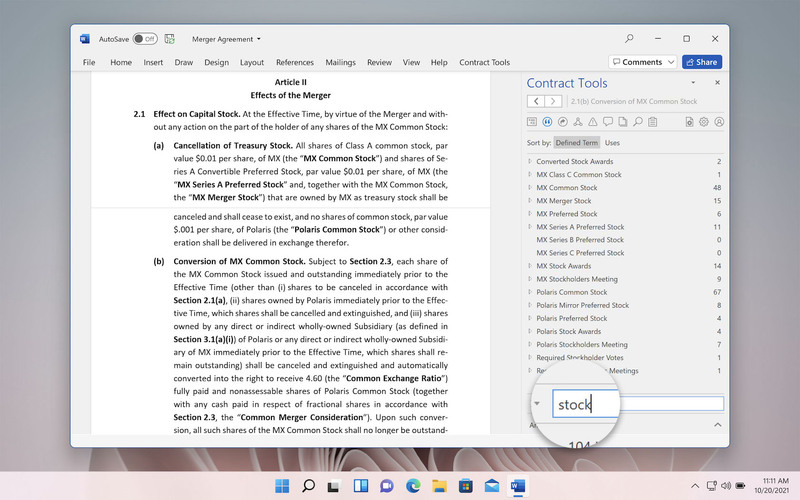 With Contract Tools, the name of the item you’ve scrolled to appears in the Word window as you scroll – so you can find what you’re looking for without guessing. Contract Tools makes it easy to find important information. Use tokens to find numbers, amounts of money, and dates and times. Mix tokens and text to find almost anything you can think of. Use tokens and text together. 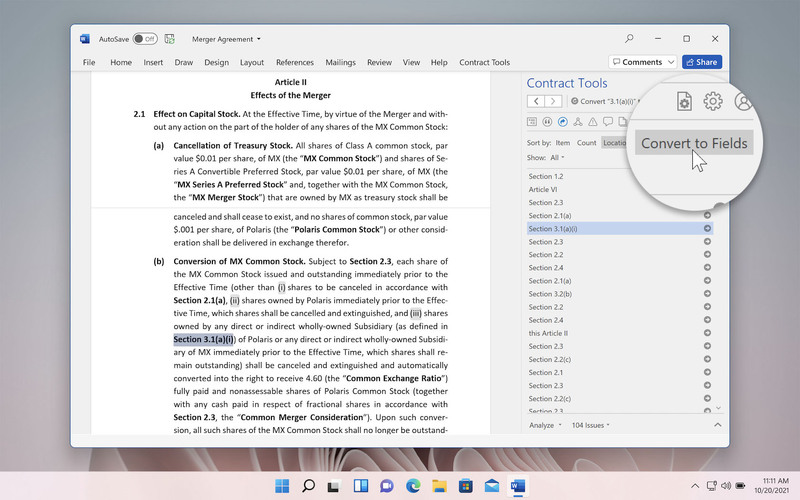 Contract Tools offers many more features that make working with contracts fast and fluid. 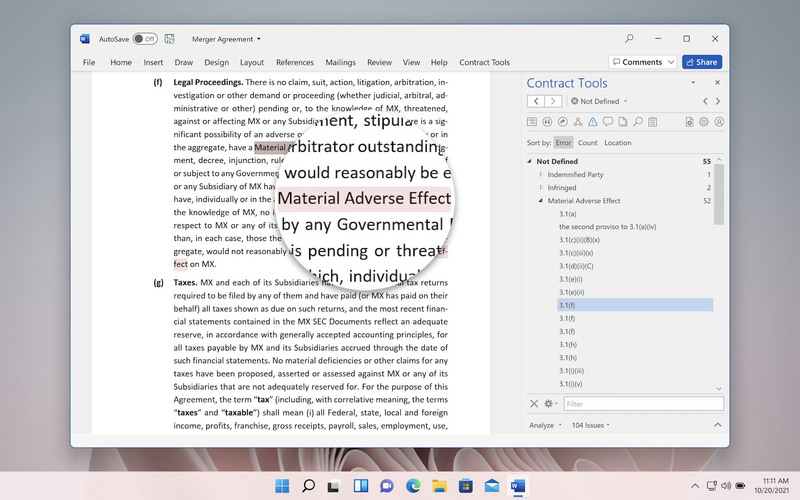 Navigate your document using a simple outline, without fussing with Word’s heading styles. Use the Assistant view to show two views at once. 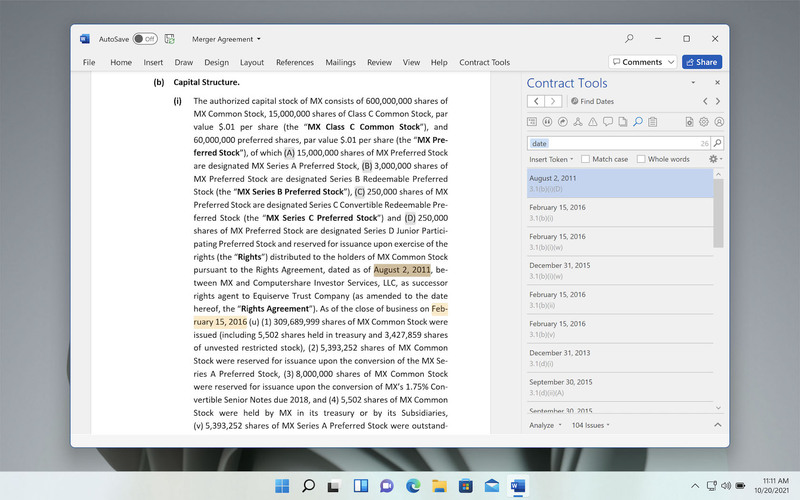 Review defined terms by choosing from an organized list. Make cross-references automatically update with one click. Easily find exhibits, schedules, and more.